Home › Change / Reinvention › Be Part of My Flash Mob!!!!!! Be Part of My Flash Mob!!!!!! 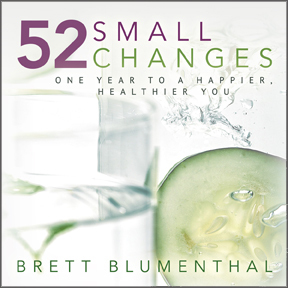 52 Small Changes for the Mind comes out in a few short weeks, and as you might imagine, I’m going gangbusters trying to get the word out. 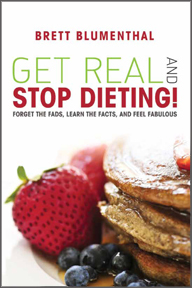 It is hard to believe this is my FOURTH book! Yet, in the 5 years since I started writing books, SO much has changed in the way we market and publicize. Social Media was just taking off 5 to 6 years ago, and now, it is embedded into EVERYTHING we do. 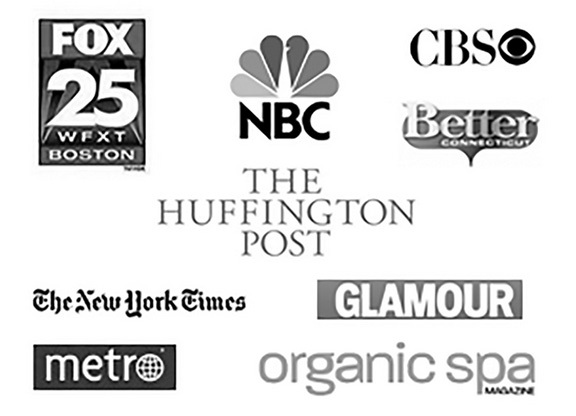 A lot of my readers ask what it takes to launch my books. And so, I thought I’d share a bit about the newest tool I’ve been using: Thunderclap. A friend introduced me to it. At first, I didn’t get it at all, but once I did, I realized how amazing it is. What is Thunderclap? Think flash mob for social media. It is the first-ever crowdspeaking platform that helps individuals get their message out by getting many people to say it together. 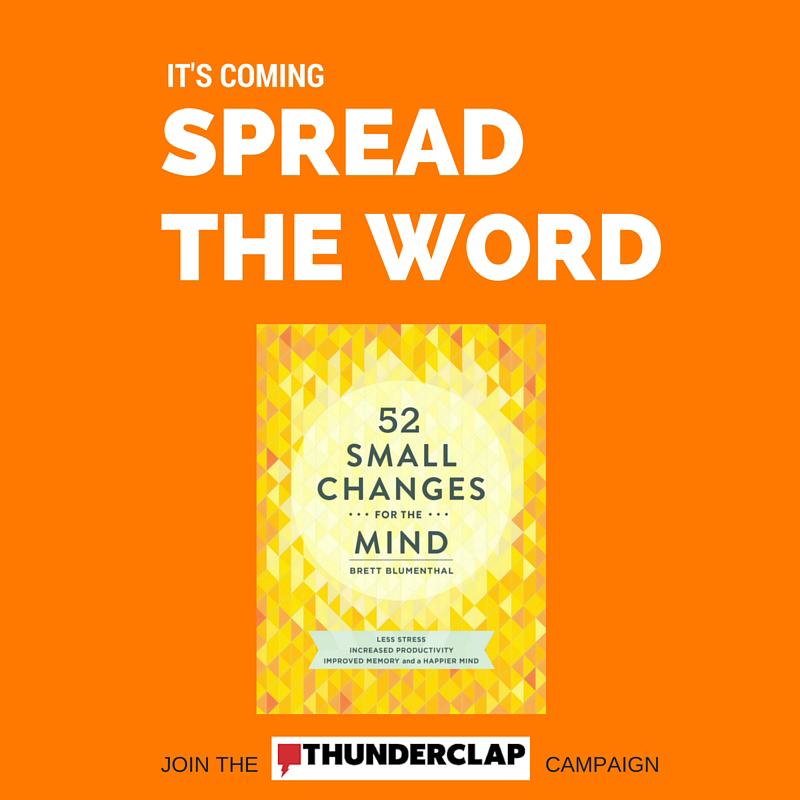 How Thunderclap works: The organizer creates one single message that can be mass-shared at the same time to help increase its impact and reach. Thunderclap sets the message, the date, and the time for all people who join so that the message is sent to all networks at once, reaching many many more people than if the organizer were to send it themselves to only their network. Why I PERSONALLY Love this for the book: One person with a small following can amplify their message to many many more, potentially reaching millions of people. When all participants publicize their message at the same time, Thunderclap enables the organizer to create action and change on a much larger scale than if they tried doing it by themselves. 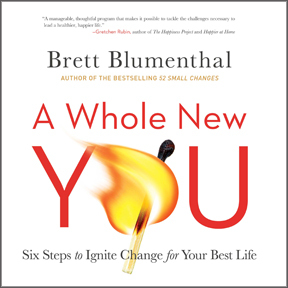 In a sense, it is synonymous with the mission of 52 Small Changes for the Mind – which is about creating big change…one small change at a time. Thunderclap does JUST that! I’d be honored if you would do your small part and Join the Campaign! And, of course, help spread the word!